The time has come. Your cute little kitten has grown old enough to become a senior cat. Senior cats are just like elderly humans. They can become strange and suffer from any kind of disease at any time as they reach their biological limits. Also modern urban cats have significantly increased their lifespans and keep pushing it upwards. It is less and less rare for cats to exceed their breed life expectancy and every decade the average goes up. This means that your cat may live longer as an elder. The lifestyle to be exact. Healthy lifestyle is something your fold should have from an early age. If not, then there is nothing you can do. Years of unhealthy living cannot change overnight and especially if we talk about elderly cats. If you want a happy senior cat rule 1 is, maintain a healthy lifestyle for your cat from an early age. Do that and your Scottish fold will love you for it. This is one of the most common conditions Scottish folds suffer from. As they grow older many of them develop OCD. Others to a larger extent and others to a smaller extent. Greater details on how the disease develops can be found here. In order to delay or avoid the disease make sure you keep your Scottish folds fit and active. Overweight individuals are more prone to the disease. Also make sure your fold is on a proper diet, supplementation with turmeric might also be beneficial. Consult your vet before starting to supplement your fold. Frequent vet visits for checks and X-rays will help you keep an eye on the progress (if any) of the disease. In case of pain your vet will prescribe pain relief medication. Together with the medication it is advised that you provide a very soft cat bed, easily reachable litter, food and water bowls. Scottish folds just like the British Shorthairs have a predisposition towards PKD. It is not certain that your fold will suffer from PKD, if it does, only your vet can deal with this. The disease is difficult to handle and usually gets treatment similar to that of renal failure. The best way to deal with PKD is take prevention measures. Make sure you’ve read the guide to proper nutrition. You can also do a check to see if indeed your Scottish fold carries the gene that causes the disease. Supplementation might help, do as your vet suggests. For more on the disease you can read this and this. 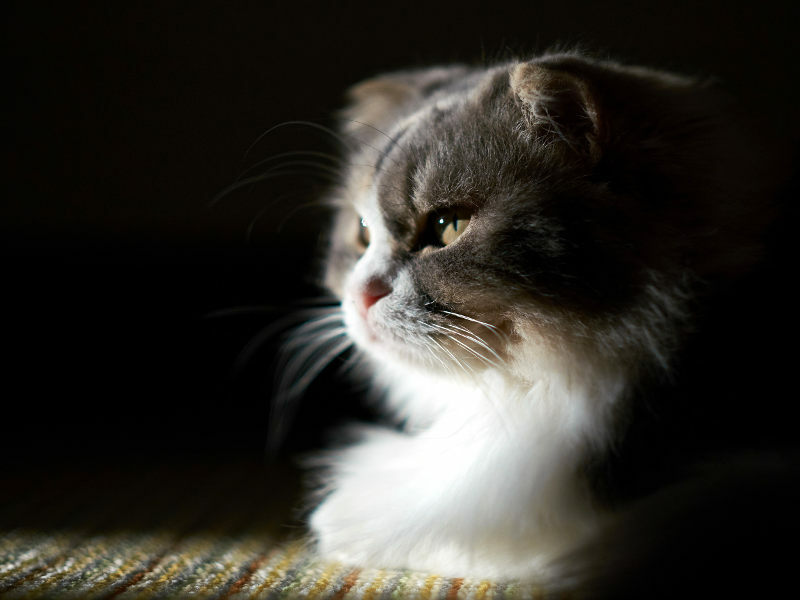 Even your Scottish fold does not suffer from OCD or PKD or any other disease it is still an old cat. Old cats just like old humans are not that strong/fast active. Your cat can be at perfect health. But if you see any signs of ageing in terms of behaviour and/or physique then help your cat. Provide a soft and warm bed, give easily accessible litterbox and feed bowls. Give a hand with the grooming, show compassion and understanding. Of course you should always provide a good diet and watch out for rapid weight changes or anything abnormal. Last but not least if you notice something strange on them, report it to your vet immediately. For further reading you can have a look at this article here.